Scotland is at the cutting edge of cultural talent, having enjoyed decades of success in art, music, drama and dance. 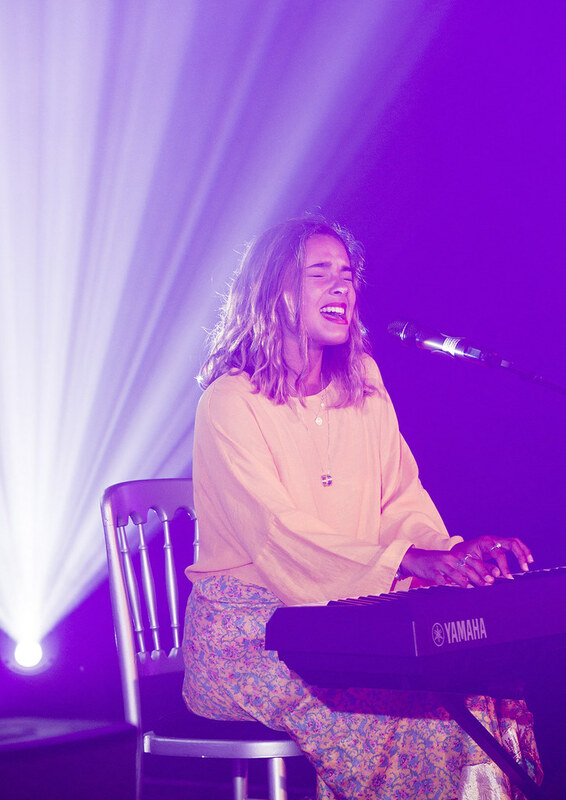 From The Edinburgh Fringe Festival, to Celtic Connections, Scotland is bursting with cultural events all year round and has a host of successful artists being recognised nationally and on the international stage. 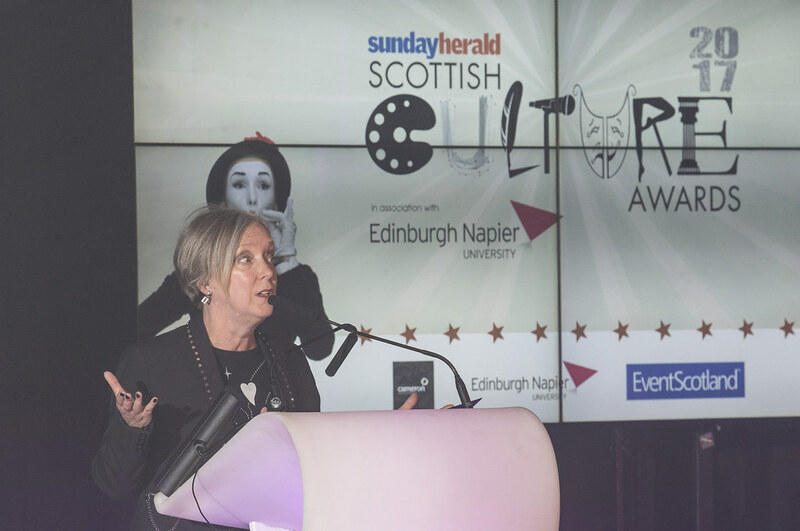 The Sunday Herald Culture Awards in association with Edinburgh Napier University will highlight the talent of artists, venues, events and those who support the arts industry in Scotland. The awards will recognise the very best of Scottish culture, encompassing seasoned pros as well as the up-and-coming performers who catch our judging panel’s eyes and ears. For more information please contact Holly Rutherford, Events Executive on 0141 302 6019. Edinburgh Napier University is one of the largest higher education institutions in Scotland with over 18,000 students from 109 countries. We offer industry informed courses combining theory and practice, equipping our graduates for success in today’s competitive global job market. Over 95.4% of our graduates are in jobs or further study six months after graduating. Our School of Arts and Creative Industries is one of the premier centres for creative arts education in Scotland. 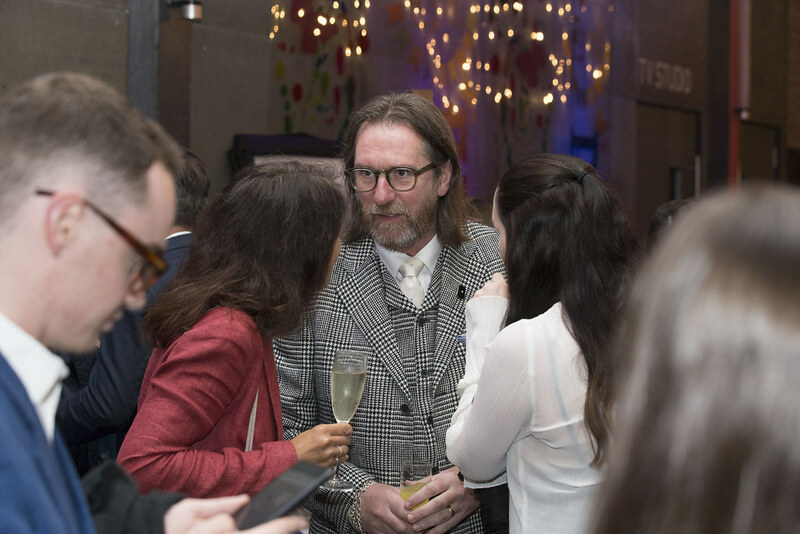 Covering a range of disciplines from music, design and acting to English and journalism, we’re also home to Screen Academy Scotland – a collaboration with Edinburgh College of Art which is dedicated to fostering future film-makers and script-writers. We are a creative, supportive and lively community with active, experienced professionals and researchers. Our facilities, industry links and innovative teaching combine to produce award-winning graduates. 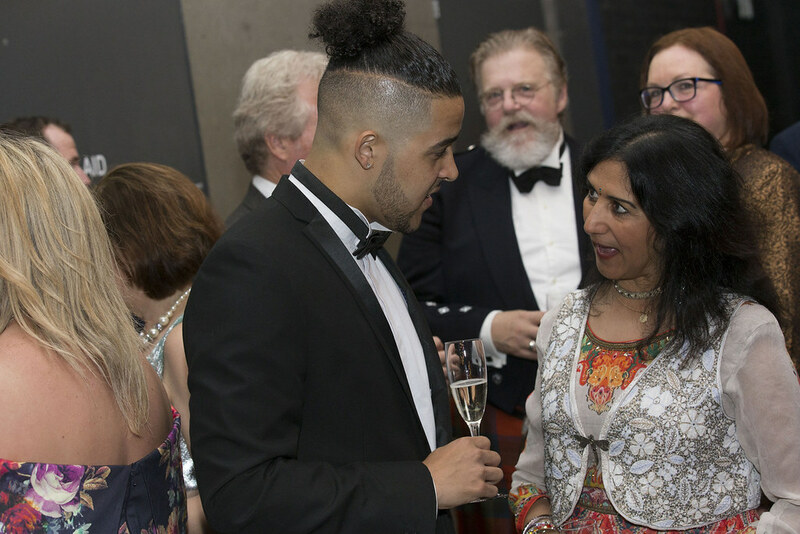 We have close links with the city’s festival scene too; not only are we the biggest provider of festival and events education in Scotland, but all 12 directors of the city’s key annual festivals teach on our courses as Visiting Professors. 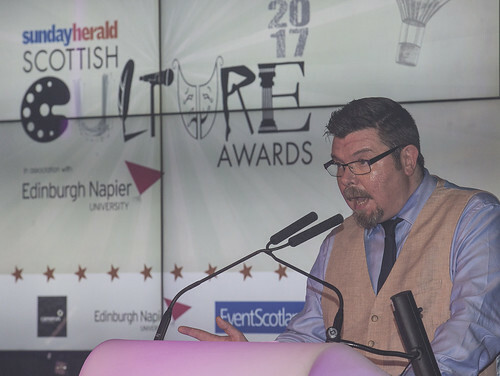 We’re proud to be supporting The Sunday Herald Culture Awards as Title Partner to recognise the outstanding achievement of the performers, venues and backstage crew which help make Edinburgh the world’s festival capital. 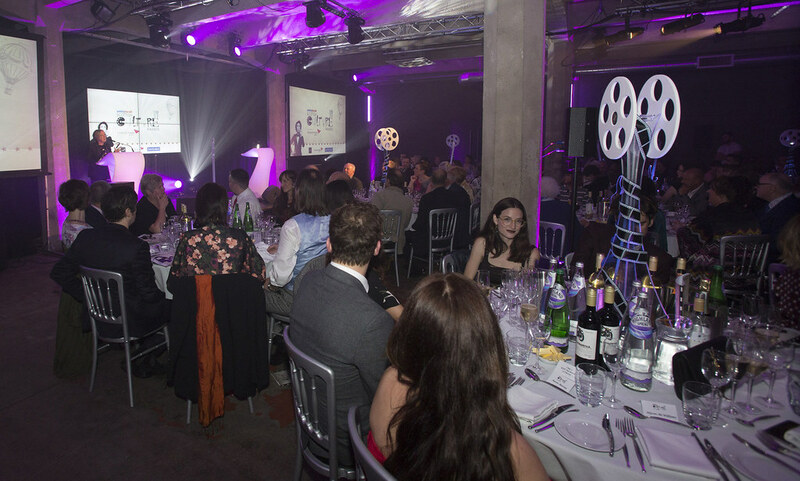 EventScotland sits alongside the Events Industry Development and Business Events teams within VisitScotland’s Events Directorate. Events deliver significant value to Scotland’s economy, generating and supporting jobs and attracting visitors from across the globe. EventScotland plays a key role in delivering Scotland’s National Events Strategy for Scotland, Scotland The Perfect Stage. By providing support for event organisers across the country and helping to bid for, secure and develop a portfolio of outstanding sporting and cultural events, EventScotland is helping to build upon Scotland’s reputation as a world-class events destination. 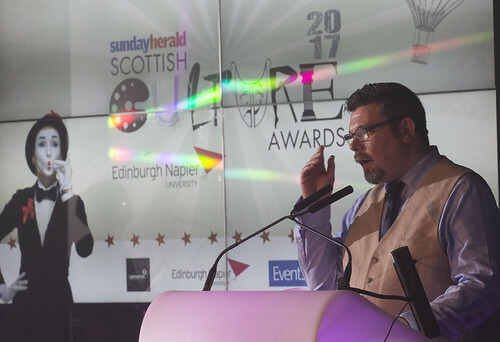 EventScotland is proud to support Culture Event of the Year at the Sunday Herald Scottish Culture Awards 2018. The Blue Parrot Events company is a creative event hire company with offices in East Kilbride and Edinburgh. 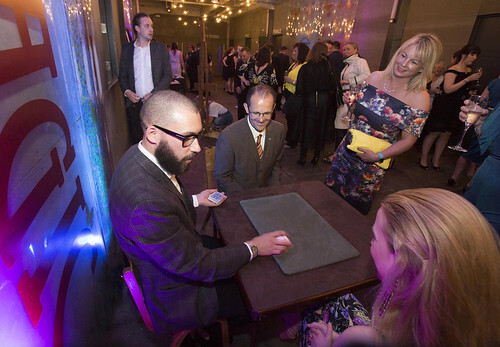 Specialising in themed prop and furniture hire we aim to create unique and innovative experiences at events that will leave people talking for years to come. The event will take place on Thursday, July 12, 2018 in Glasgow. Tickets are priced at £80 +VAT and tables of 10 are £800 +VAT. Please contact Hannah Docherty on 0141 302 6037. First of all … what’s Scottish? 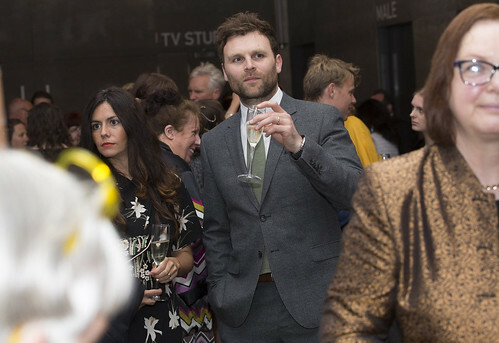 For the purpose of these awards it’s anyone working on a Scottish production or anyone based or born in Scotland working anywhere in the world. Entry deadline: midnight on Thursday, May 17, 2018. Awarded to the unsung heroes of the Scottish performing arts scene. From set designers and sound engineers, to hair and make-up artists and costume designers. The judges are looking for the best individuals and teams working behind the scenes to make the show a success. Awarded for the most powerful performance in film or television. Whether it is comedy or dark drama, the judges will be looking for an actor who has made a real impact. We’re looking for a performer who has transfixed audiences, regardless of genre and no matter the size or scale of the production. The winner in this category might dance with a national company, or a small avant-garde group. The talent, musicality and ability to move audiences matter much more than the style. The nominees might be painters, sculptors, photographers or multimedia professionals. What they will share is the ability to use their talent to portray a profound message – or perhaps one that’s wryly amusing – about the world in which we live. Sold out stadium shows, soul-baring performances in intimate venues, unique stages in unusual places, we want to hear about them all. 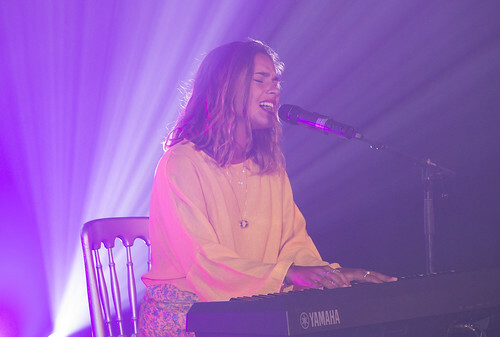 Encompassing all genres, from music to comedy, we’re looking for the performances which audiences absolutely love and will remember for a long time. Performance must have taken place within the year to Thursday, May 10, 2018. OK… where to begin? There are plenty to choose from, but which event really went beyond expectations to deliver a life altering experience to its audience? Which event has carved a reputation that encourages audiences to return time and time again? And which event has helped change perceptions of Scotland and its culture? For 2018, this category will be split into two subcategories to recognise both national and international events. Event must have taken place within the year to Thursday, May 10, 2018. Have you helped shape Scottish Comedy? 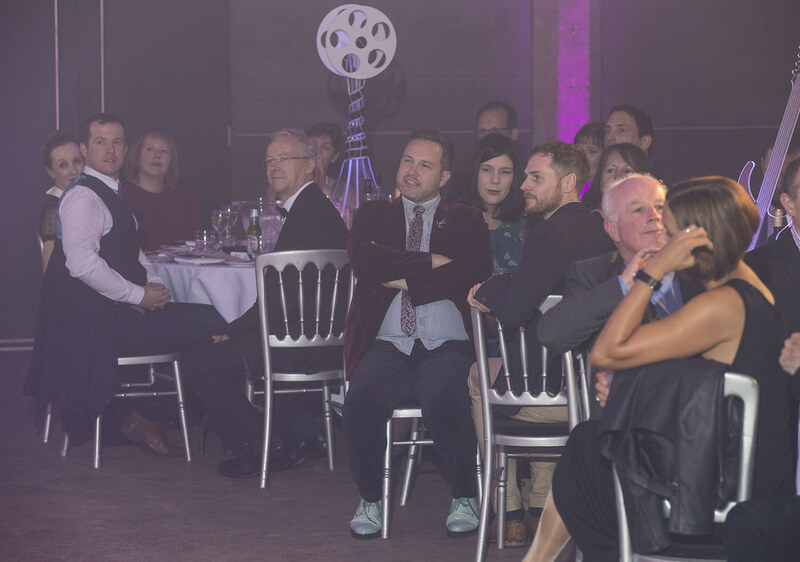 The judges are looking for an individual or group who has made a significant contribution to the Scottish Comedy Scene. Whether you are a writer based in Scotland writing for TV programmes or live comedy shows, a comedian fronting sell-out shows who is making a big impression or you are behind the opening of a purpose-built comedy venue, we want to hear how your contribution is making a difference to the Comedy Culture here in Scotland. Regardless of capacity, age, structure and location, we are on the lookout for Scotland’s favourite performing arts venue. Open to all designers, across the spectrum of disciplines, who are contributing to Scotland’s rich design heritage. 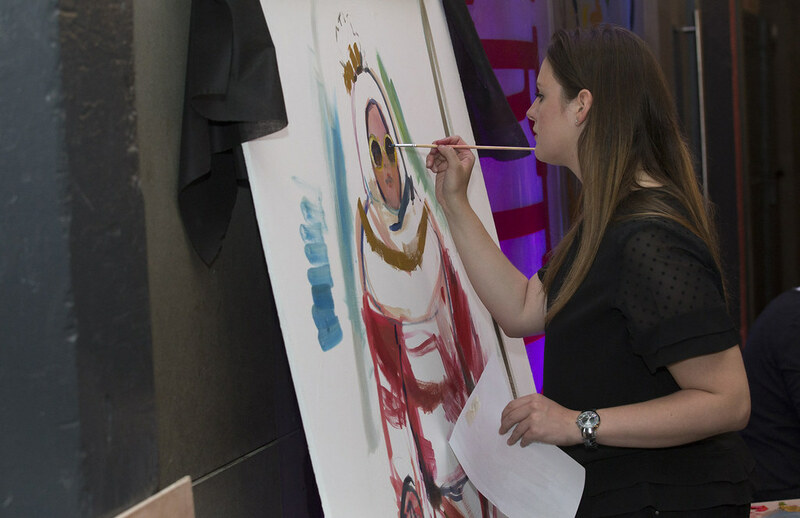 Whether your expertise is jewellery, interiors, textiles or illustration, the judges know the journey of the design is just as important as the finished product. Awarded for the most powerful performance for film. Whether it’s a blockbuster hit, or an independent project, the judges are looking for an actor who deserves special recognition. Open to individual singers, musicians, songwriters or composers, active in the music industry at home or abroad. 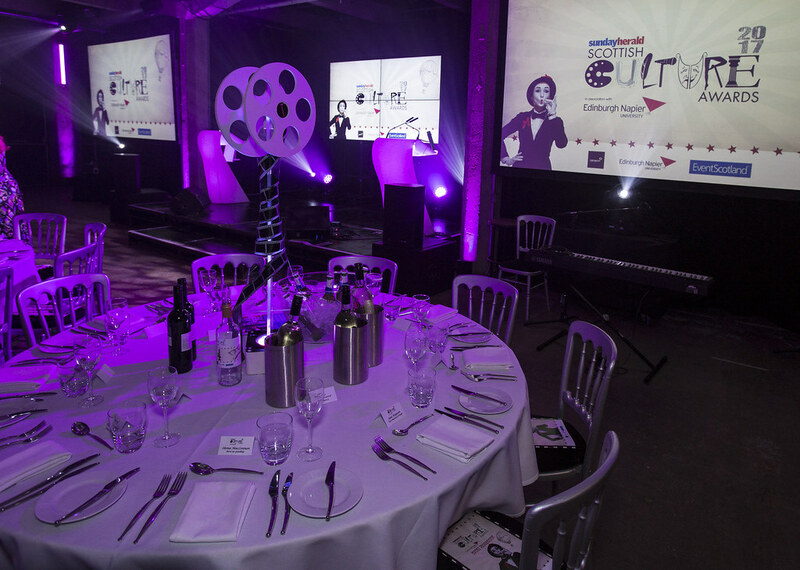 Whilst packed venues are impressive, the judges will be looking at artistic merit just as much as commercial success. Same criteria as the Best Musical Artist category above, except this category is for groups. Groups are defined, quite simply, as a musical ensemble consisting of two or more people. Even the biggest stars had to start somewhere. The winner of this award will be just starting out but will already have paved the way for a successful career. Open to individuals and ensembles, the judges are looking for those who have generated a real buzz among those in the know and have promising prospects of bursting into the mainstream. Open to authors, poets and playwrights alike, the winner could be anyone, writing about anything. We know and love the bestsellers and the critically acclaimed, and we’re keen to give them a gong. 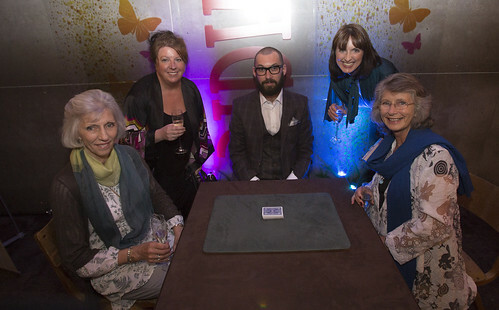 However, the judges will consider nominations from the left field too – as long as they cast a spell over the reader. Simple, then. You never know when you are going to experience that feeling that you are in exactly the right place at the right time, when the stars collide, and you witness something truly exceptional. These are moments to treasure or in this case, award. The judging panel will pick a standout nomination from the other categories to win this award. 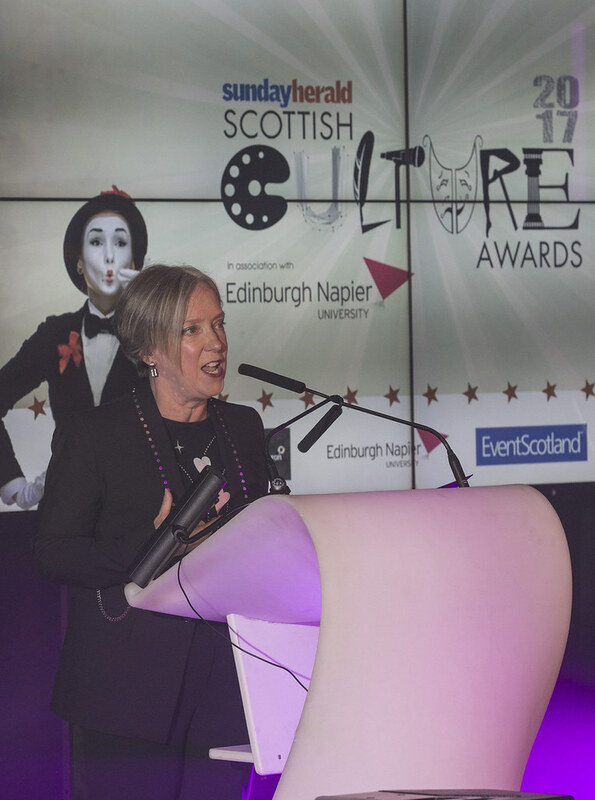 This award will go to an individual, group, event or venue that is iconic to Scotland and has made a longstanding contribution to our culture. 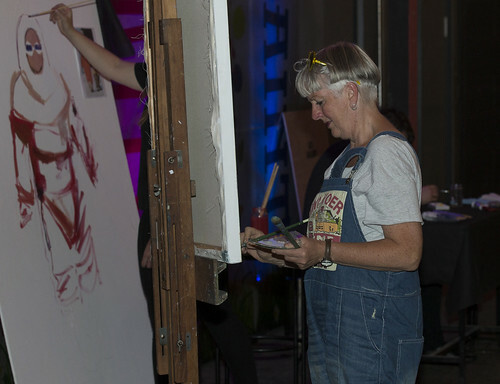 Co-founder of Graven and Creative Director, Janice Kirkpatrick is a designer with 30 years’ professional experience. She is an accomplished team leader, facilitator, educationalist, writer and broadcaster. In addition to being a graphic designer Janice frequently leads brand (identity) projects and oversees all aspects of creative development and project management. She is an experienced communicator as well as being an energetic collaborator and a team player who excels in supporting and developing others within the creative and cultural sector. Janice is a graduate of Glasgow School of Art, achieving BA(Hons) 1stclass in 1984 and also winning the Newberry Medal, its highest accolade. She was awarded an M.Des in 1986 followed by Visiting Professorship. 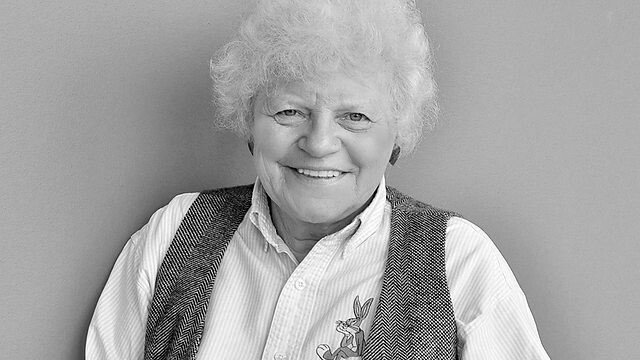 She was awarded an honorary D.Litt from the University of Glasgow in 2014. She is a Member of Designers & Art Directors, a Fellow of the RSA and she was awarded an OBE in 2014 for services to Graphic Design. Janice is committed to promoting design and creative education. She has been a Governor and Vice-Chairman of Glasgow School of Art, a Trustee of NESTA (the National Endowment for Science Technology and the Arts), a Trustee and Chairman of The Lighthouse: Scotland’s International Centre for Architecture, Design and the City) and she has been a member of various Creative Industries advisory panels for the British Council and both the Westminster and Scottish parliaments. Janice is currently a member of the Advisory Committee for V&A Dundee. She is a member of the Academy of Urbanism. Janice frequently publishes and lectures on brand related topics and she is currently working on a project to preserve the traditions of Clydesdale Horse Decoration supported by the William Grant Foundation and British Horse Society. Janice co-founded Graven with her architect husband, Ross Hunter, in 1986. The design consultancy is an industry-acknowledged expert in all aspects of branding and has an extensive international track record in brand creation (including organizational identity development), transformation, evaluation and implementation across all dimensions – from websites to visual brands and interiors – for a range of clients including government organisations, private sector companies including start-ups, third sector organisations and global corporations. The company is also a specialist in place-branding. Graven also creates and hosts workshops and masterclasses for clients and their stakeholders. Janice has lead branding and design projects for public and private sector organisations. She was Creative Director for the new name and visual and environmental brand for Elevator – a business support services organisation in NE Scotland and has evolved the famous Harris Tweed Orb mark and labels and created associated brand guidelines for the Harris Tweed Association. Place branding projects for North Staffordshire, Lanarshire and Perthshire. 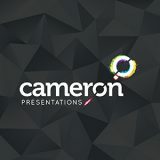 She has lead the design of many building, place and venue signage projects including external, internal, wayfinding, information, interpretative and statutory signage for clients and projects including Glasgow’s Merchant City, Emirates Arena and the redevelopment of Kelvin Hall, Royal Bank of Scotland retail banks, BA Lounges, Radisson and Missoni Hotels. She is an experienced curator and has led many exhibition projects including for the V&A, National Museums of Scotland and Design Museum (she was a Conran Foundation Archive Collector) and international travelling exhibitions for the British Council and UKTI. Janice also co-created and co-delivers a three-year programme of brand masterclasses for Highlands & Islands Enterprise.and has created ‘BuildMyBrand®’ in collaboration with with Lesley Thomson from Spreng Thomson, a bespoke brand-building process that has been successfully implemented in over 100 businesses and organisations. 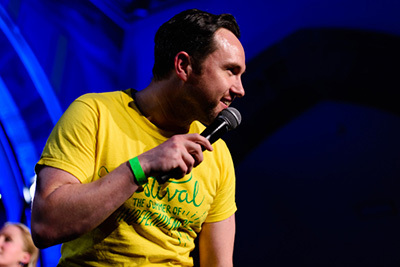 Alan Bissett is an award-winning novelist, playwright and performer from Falkirk. 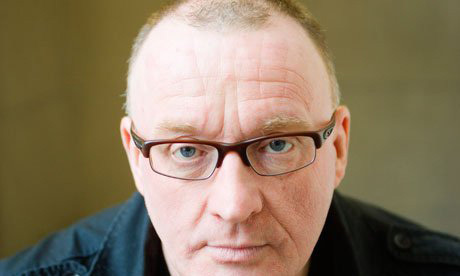 His novels include Boyracers and Death of a Ladies Man, and his most well-known plays are The Pure, the Dead and the Brilliant and his ‘one-woman show’ The Moira Monologues, the sequel to which returns to the Edinburgh Fringe this year. 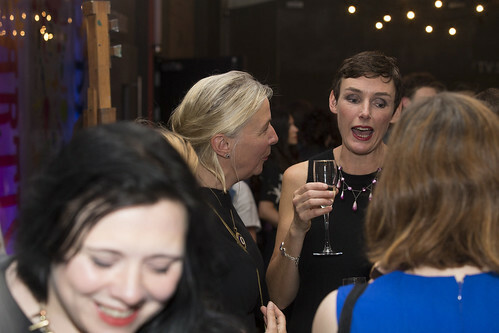 Pauline Miller Judd is Dean of Arts & Creative Industries at Edinburgh Napier University. Pauline started her career in stage management and technical theatre, graduating from Guildford School of Acting in 1984. 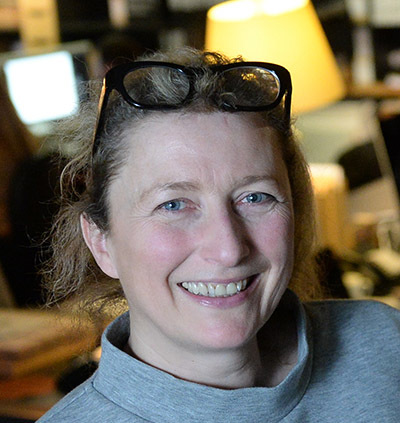 She enjoyed a varied freelance career with a range of companies including: the National Theatre; The Royal Exchange Theatre, Manchester; The Old Vic; Shared Experience; Temba; The Queen’s Hall; and South Bank Centre. Building on this, Pauline became a freelance arts manager working with a number of small scale drama, dance and visual arts companies, including Oracle Productions at Holland Park’s Open Air Theatre and the X Factor Dance Company. 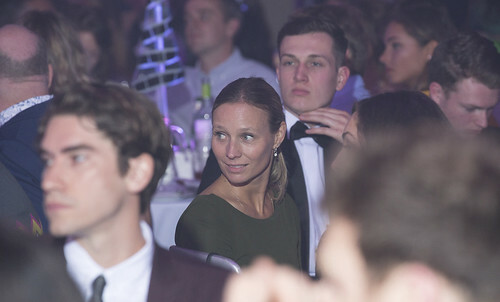 Pauline also moved into events management and worked with Plus 1 Event Services for the opening and closing ceremonies of the 1991 World Student Games in Sheffield. A year later she moved to Scotland to become Administrative Director of the Scottish Youth Dance Festival (now YDance), and in 1994 she made the move into higher education by joining Queen Margaret College teaching stage management and arts management. In 2003, she became Head of Production & Cultural Management in the School of Drama & Creative Industries at Queen Margaret University in Edinburgh. 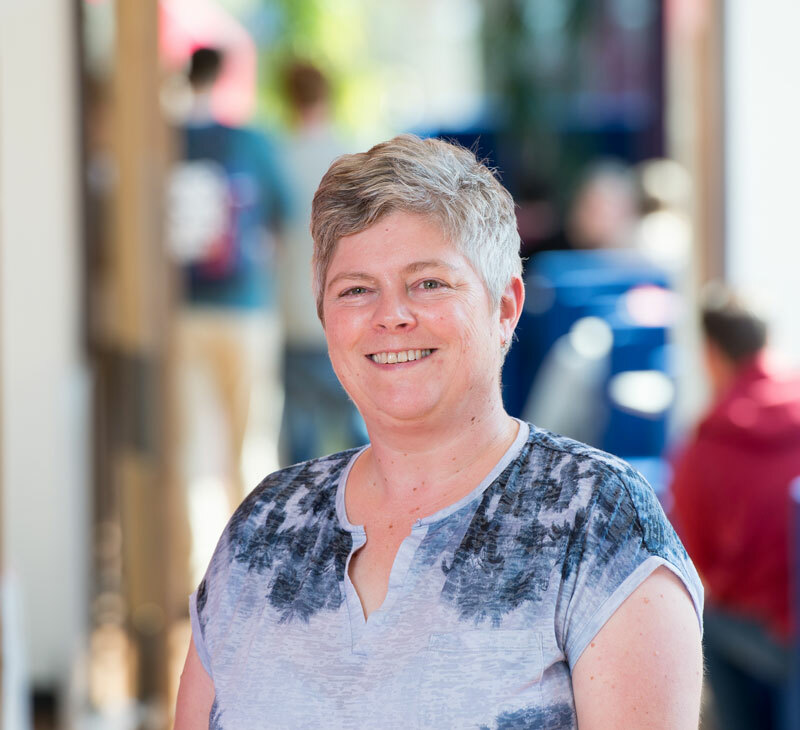 Pauline then joined Edinburgh Napier University in 2009 as Associate Head of School, becoming Head of School in 2010 and taking on the role of Dean in 2015. 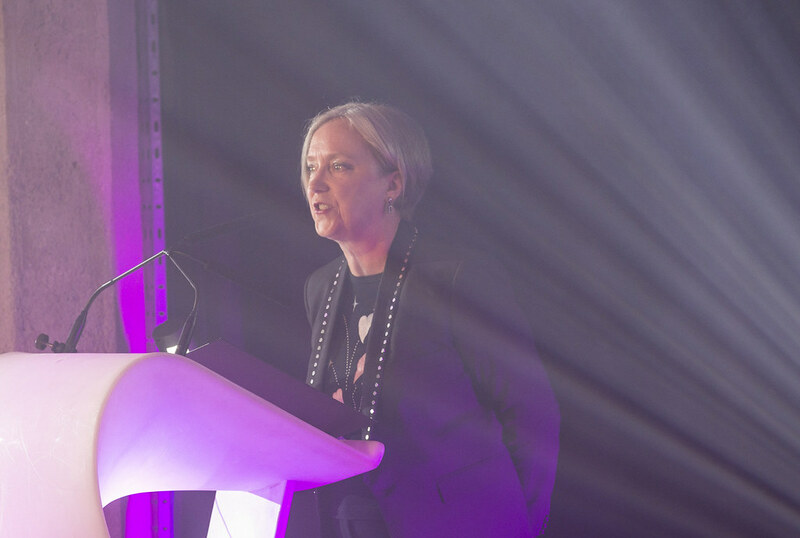 Ruth Wishart is a journalist and broadcaster who chairs the Dewar Arts Awards and is a member of the Creative Scotland board. Previously she has been chair of the CCA in Glasgow, and Glasgow Common Purpose. She also served two terms as a trustee of the National Galleries of Scotland, and was a Governor of the Glasgow School of Art. He is multi-award winning investigative journalist, a radio broadcaster, film-maker and author. His books include a non-fiction account of the Iraq War called The War on Truth, and two novels All the Little Guns Went Bang Bang Bang, and The Wolf Trial. 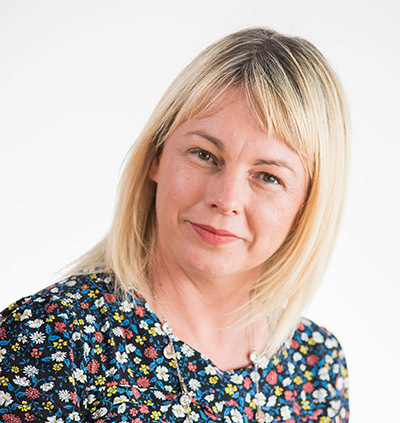 Rhona works with a range of partners across the international cultural and sporting event portfolios to bring major international events to Scotland and develop existing events in the calendar. Rhona has over 15 years’ experience in the events industry in Scotland and prior to this role, worked in Project Management roles with UZ Events, Unique Events and Fisher Productions, including a number of large scale events and festivals such as, Merchant City Festival, Big in Falkirk and Edinburgh’s Hogmanay. 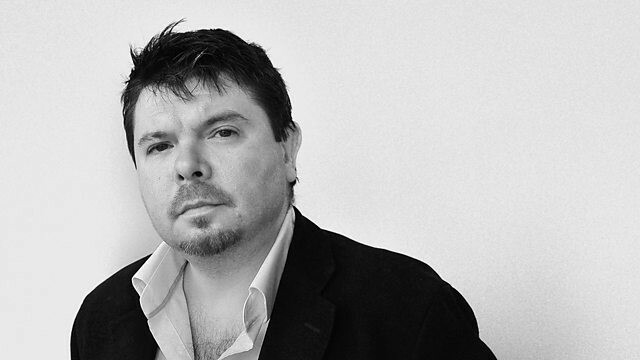 Stuart Cosgrove is from Perth, Scotland and is a writer and broadcaster. He is the author of ‘Detroit 67: The Year that Changed Soul’ recently nominated as Best Music Book of 2016 ‘Young Soul Rebels: a Personal History of Northern Soul’ and the forthcoming ‘Memphis 68.’ He was a staff writer with the black music paper Echoes, Media Editor of the NME and a television executive with the UK broadcaster Channel 4. A graduate of Hull University, he completed a PhD. in modern American theatre history and has since studied at Wharton Business School, University of Pennsylvania and the John Kennedy School of Government at Harvard University. Stuart is an Honorary Fellow of John Moores University Liverpool and an Honorary Professor of Stirling University, and Honorary Doctor of Arts at Abertay University in his native Scotland. 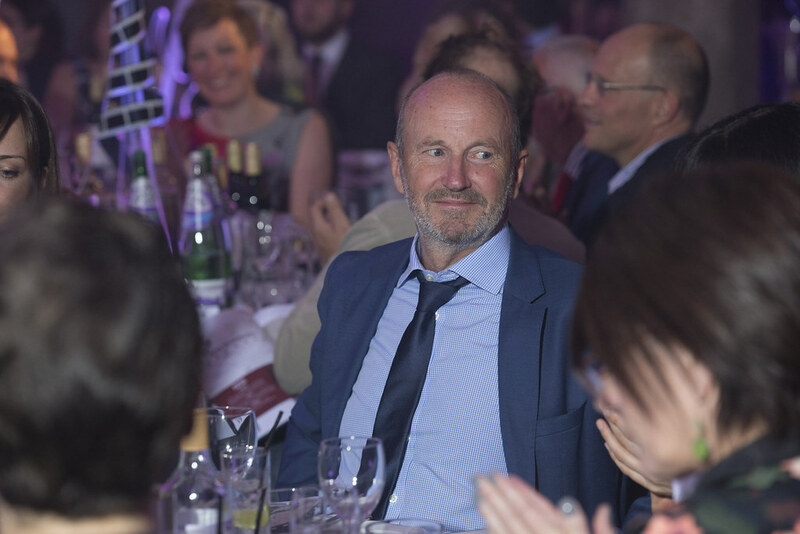 In 2005 he was named Broadcaster of the Year in the Glenfiddich Spirit of Scotland Awards, In 2012 he won numerous awards including a BAFTA and Royal Television Society award for Channel 4’s coverage of the London Paralympics 2012, Paralympics including. Stuart presents BBC Scotland’s popular radio show ‘Off the Ball’. 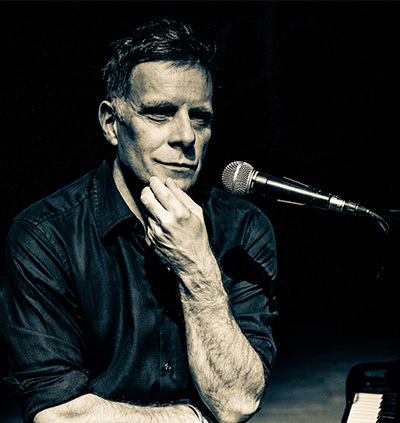 Ricky Ross formed Deacon Blue in Glasgow in 1985, they went on to become one of the city’s most famous and successful bands. From debut album Raintown and follow-up, the chart-topping When The World Knows Your Name, through to 2016’s The Believers, Deacon Blue are one of the most respected and best loved bands of their generation. During the band’s down time Ricky has established himself as a successful solo artist and songwriter releasing seven solo albums, his most recent the critically acclaimed 2017’s Short Stories Vol. 1, as well as writing for and with artists including James Blunt, Ronan Keating, Jamie Cullum and Nanci Griffith amongst many others. He also has a successful broadcasting career, Another Country, his BBC Scotland radio show has won two Sony awards and in 2014 he was the proud recipient of the CMA International Country Broadcaster Award. For any information relating to this event please contact Hannah Docherty, Events Executive on 0141 302 6037.